I have made two maps for the Portland, Oregon area, one large and one small (but the small is just a smaller area, same level of detail). Again, I hope this may be able to make it onto the simutrans maps website. What about images and the recommended Clime control values? You can use the forum attachment for the image. I liked the map, but I don't know if it should look like that. Always interested in maps! Will have a look at it this weekend probably. Edit: and I will change the creator's name of the Zurich map. Where did that extra "r" in the Maps news section come from? Nice map, Statto! 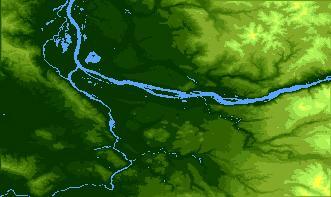 Is now published in Simutrans maps. Portland is very interesting map. I wish it was made greater - size 1002*603 is quite fine but greater size would be better. Thanks, it looks like it should look!